Why should I install a blower? Why has the paint on my fireplace turned white and how do I re-paint my fireplace? How can I determine what size of fireplace I need? Is it possible to convert my fireplace from a natural gas to propane (LP) or from propane (LP) to natural gas? Do Osburn gas fireplaces work without electricity? Why does the pilot light go out upon releasing the pilot button? offer you the desired product at the lowest price possible! Offers a warm ambiance and secondary source of heating. For a fireplace that doesn't require tending, for minimal cleanup, and efficient heating in your house. 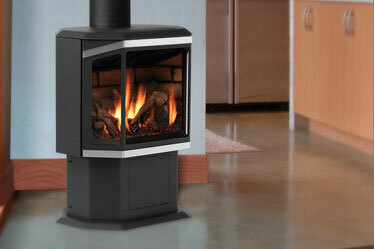 For a realistic looking fireplace in your home, without having to worry about the smoke and maintenance of fire. Designed for installation in already existing fireplace openings. Add contemporary style to your living room with these easy to install wall mounts. Offers a contemporary, romantic, and relaxing atmosphere while watching television. For a custom designed outdoor kitchen that blends with your garden. Traditional and authentic, guaranteed to set the right ambiance. A clean and quiet option for a relaxing experience. An excellent alternative to wood, an afforable option, and they're easy to install and use. Control your home temperature easily with minimal smoke. 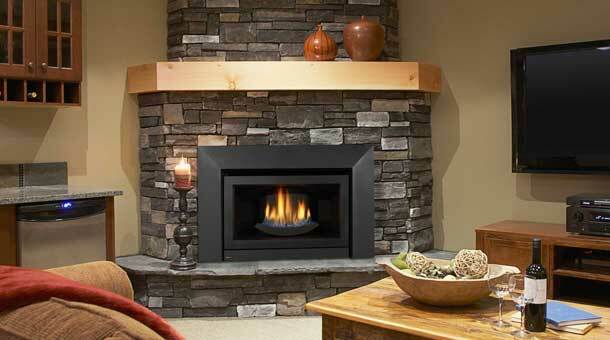 Browse our inventory of fireplace accessories. Perfect for your nights with family and friends, discover our selection of BBQ. Like your car’s miles-per-gallon rating, a higher efficiency rating means a higher efficiency unit. A furnace’s efficiency of 90% means 90% of the fuel is used to heat your home, while the other 10% is wasted in gases vented outside. Choose a higher efficiency to save more energy. BTU stands for British Thermal Unit, the unit of heat energy that’s necessary to raise the temperature of one pound of water one degree Fahrenheit, from 58.5 to 59.5. How does this apply to your home? Well, a 10,000 Btu air conditioner can remove 10,000 Btus of heat per hour.